Joe Payne is a true artist and a fabulous person to boot. My (now) husband and I scoured the web searching for the best photographer to document our wedding. Because we had a destination wedding, we even looked outside of the Triangle. When we found Joe’s portfolio, we saw that his photos were unique and vivid. They went beyond typical wedding photos– each one captured the environment and emotions at just the right moment in time. When we first contacted Joe for engagement portraits, we immediately felt at ease and wanted him to shoot our wedding. After Joe did my bridal portraits we were even more impressed. He made me feel comfortable and produced photos that were better than I could have hoped for. Inviting Joe to document our wedding was a major commitment. 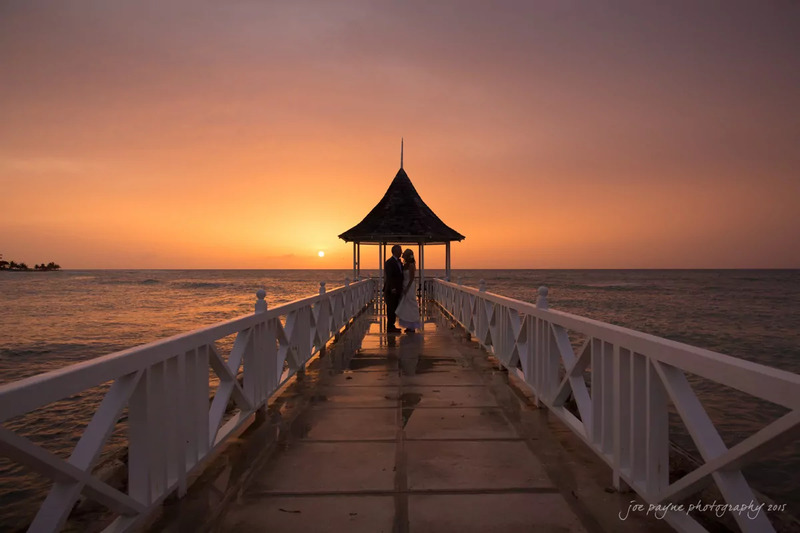 Joe joined our families for an intimate wedding in Jamaica. He traveled with my family and spent nearly a week with us, photographing everything from a family swim with dolphins, to the rehearsal dinner, wedding events, and a day-after hike in wedding attire to a waterfall. Joe was professional and fun. He took time to scope out potential shoot locations and was willing to get wet and dirty to get the best shot. We were extremely impressed with the way he was friendly and yet surprisingly invisible– he is a magician at finding just the right nook, cranny, tree, pier, angle, boulder, or hill from which to shoot. And since he’s so good at coordinating with the resort staff, (including videographers) we could enjoy the wedding, stress-free. But the real amazement came when we received our photos. We were in awe! Every single image is phenomenal. Joe captured the expressions and emotions that we always want to remember. He photographed the quiet, intimate moments spent with our families perfectly. He captured the fun, festive time after the wedding with the same ease. Joe is masterful at crafting beautiful art and memories with his photos. Joe is without a doubt the most valuable investment that we made on our wedding. Thank you, Joe!